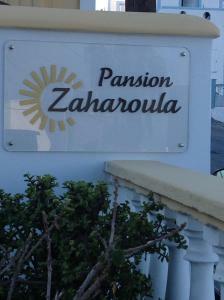 The Pansion Zaharoula is located at 600 meters from the main square of Fira, where you can find several taverns and bars. 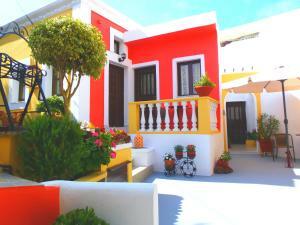 It has a patio with flowers and rooms with air conditioning and free Wi-Fi. Spacious room with air conditioning, free Wi-Fi and cable TV. It also includes a small fridge and coffee maker. Some of these rooms have a balcony overlooking the Aegean Sea, while others have direct access to the patio.